„Wreck this bench“. No. 11 is done now! And No.12 is ready for starting. Eleven! 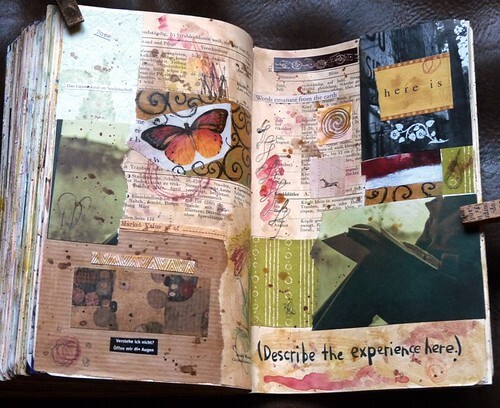 I think you should send a photo to Keri Smith. 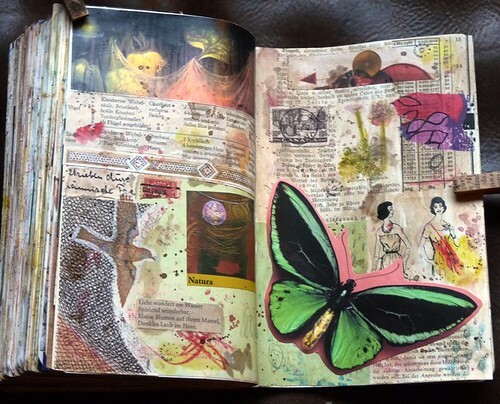 Inspiring pages! 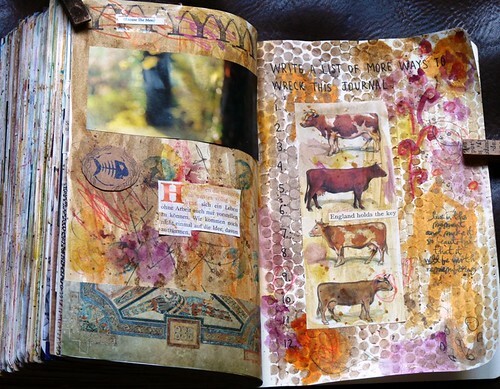 An amazing *body* of work...I can only imagine the wealth of ideas this holds. wow. 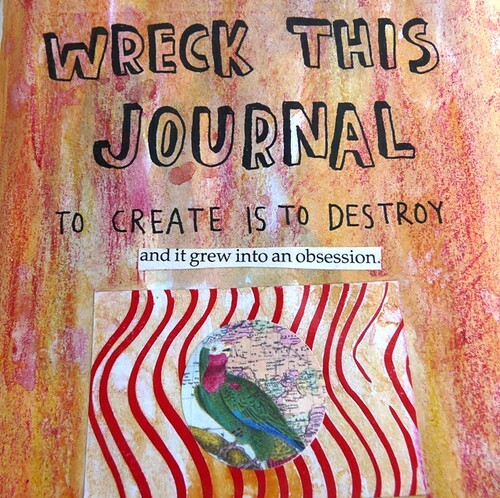 I just got my first Wreck the Journal...and love playing in it...from your awesome pictures I see that I should go further and WRECK IT! 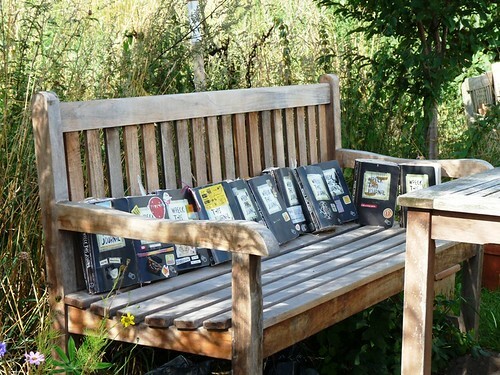 !Love seeing all your books together on the bench!! 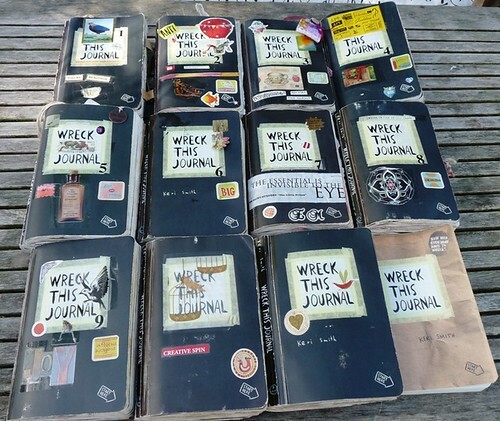 Holy guacamole, so many wreck books!! 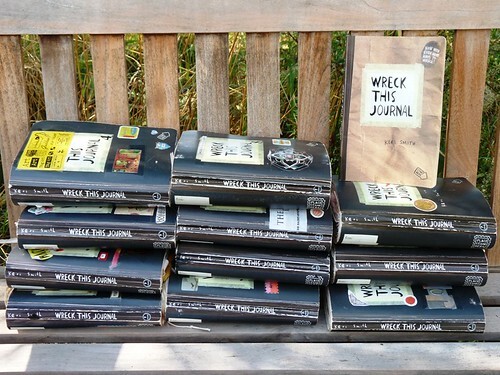 You are the Wrecking Queen ... what a great time it must be to be able to sit and turn those pages!